March 2 at Appalachian Ski Mountain - RECESS Presents the 4th Annual Reckless Rail Jam. This Cash Prize Rail Jam will be open to all snowboarders and skiers of all levels. There will be Beginner – Intermediate – Advanced – as well as women's Categories for each. This will be a jam format event consisting of staple and unique rail features on all levels set up by the ATP crew . Registration will be from 9:30 AM-11:30 AM and the contest begins at noon. There is a $15 Entry Fee with all cash from entry fees going right back to the riders! The Cash will be divided up between Advanced 1st, 2nd and 3rd. SPY will be on hill hooking it up and have donated an additional $100 toward prizes. Recess is adding another $500 to the Cash Purse as well. Get a link for the Reckless Rail Jam, Appalachian Ski Mountain and all NC skiing and snowboarding on the NC Ski Resort Guide. March 1 SPY After School Shred Session at Appalachian Ski Mountain A FREE jam session on some custom features with othe good folks at SPY Optic. SPY is a huge supporter of ATP, and this will be a super fun evening with new park features, unique contests, and an always exciting vibe. Expect fun times to be had by all, and some special rails & boxes setup especially for the event. Skiers & Snowboarders of all age and ability are welcome. SPY will be on hand during the entire event, and will offer some fun giveaways and prizes for standout riders during the session. The session will begin at 4 PM, and will last as long as you want. The format will be very laid back and relaxed, but most importantly – FUN! Learn more about NC skiing on the NC Ski Resort Guide. Sunday, March 3, all season passes will be on sale for the lowest price of this year and next for this one day only! Ski for the rest of the season and next on the pass you purchase during the BIG One Day Sale. The Pass sale will be held from 8:30 AM - 4:30 PM only and you can purchase in person, over the phone with a credit card or online. Don't forget seasonal rentals will be available for order for the 2013/14 season at that time as well. Get a link for the BIG BIG BIG One Day Sale and Cataloochee Ski Are on the NC Ski Resorts Guide. February 23 at Beech Mountain Ski Resort - A representative of ARMADA will be at the Ski Resort, offering a selection of skis for demonstration. Included in this demo: AR7, T-Hall, ARV, Halo, Alpha One, ARW, Cantika, JJ, TST and more. If you have interest in any of the ARMADA products you can give them a try - FREE. All weekend, enjoy 30% off ARMADA skis and a free hat or t-shirt with your purchase. Appalachian Ski Mountain is open today with 12 slopes and 6 lifts on a base of 52 - 88 inches. Ice skating is open. SFTC Slopestyle Finals on Saturday, HCJRS Championship Race on Sunday. Beech Mountain Ski Resort is skiing 15 slopes with 5 lifts on a base of 40 - 80 inches. Ice skating and tubing are open. 80s weekend at Beech Mountain Resort. ARMADA will be at the Ski Resort on Saturday, offering a selection of skis for free trial and demonstration. 30% discount on skiis all weekend. Cataloochee Ski Area will be skiing from the top of the mountain down, including Wild Cat Glade for day skiing only, on 16 trails with 3 aerial lifts and one conveyor lift on a base of 69 -89 inches. Tube World is open on Friday from 4 PM - 10 PM and Saturday and Sunday from 10 Am - 10 PM. Fire and Rescue Appreciation Day continue through Friday. Sugar Mountain Ski Resort is open skiing on 20 slopes with 7 lifts on a base of 47 - 95 inches. Ice skating is temporarily closed. Tubing is open for all sessions. 2014 Spyder Sample Sale debuts this Saturday and runs through the end of the ski season. BOSS Hawg's live Bluegrass music plays again this Saturday in the Base Lodge between 4 PM and 6 PM. Wolf Ridge Ski Resort is open with 9 slopes and 2 lifts on a base of 28 - 34 inches. Ice skating is open. February 22 - 24 Beech Mountain's Retro 80s Weekend Have a great weekend at Beech Mountain's trip back to the 1980s. Friday night will feature live music at 9 PM at Jackalope’s View. Get dressed up in your 80s gear for a big air competition Saturday afternoon on the ski slopes, followed by an apparel contest. Then the Beech Tree Bar & Grille will host 80’z Enuff at 7 PM on Saturday. Lodging specials start from $80.80 per night, with dinner and equipment rental deals throughout town. Get a link for the Retro 80s Weekend, ski lodging and other local information on the Beech Mountain NC Visitor Guide. February 21 - 22 Fire and Rescue Appreciation Days at Cataloochee Ski Area Cataloochee supports the law enforcement by offering a special reduced rate for law enforcement personnel and their families. Valid ID required. his special package is only $27 per person and includes a 1 1/2 hour lesson, lift ticket for either day, twilight or night skiing and rental equipment. The combined savings is $56 per person over Cataloochee's regular rates. Cataloochee Ski Area is located in Maggie Valley NC. 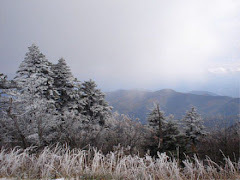 Cataloochee is North Carolina's First Ski Area, and usually the first NC Ski Area to open for the season. Catalochee offers Smoky Mountain Skiing, Riding and Tubing with 16 lighted slopes including the Cat Cage Terrain Park. With a variety of terrain for beginners to experts alike and over 4,000 sets of snowsports equipment, the Cataloochee experience offers something for everyone. 100% snowmaking, 16 lighted slopes including 1 terrain park, 2 advanced, 5 intermediate & 6 beginner; 5 lifts including 1 triple chair lift, 1 quad chairlift, & 3 conveyor lifts; and 6 lanes of snowtubing fun! PSIA school instruction. Intro to Skiing or Riding lesson is FREE with all ski and snowboard rentals any non-holiday Monday through Thursday. Get a link for Cataloochee Ski area, the Fire and rescue Appreciation Ski Special on the NC Resort Visitor Guid. Appalachian Ski Mountain is open today with 12 slopes and 6 lifts on a base of 50 - 86 inches. Ice skating is open. Beech Mountain Ski Resort is skiing 15 slopes with 5 lifts on a base of 38 - 78 inches. Ice skating and tubing are open. WEEKDAY PRICING TODAY. Cataloochee Ski Area will be skiing from the top on 16 trails with 4 lifts on a base of 62- 82 inches. 10 lanes of snowtubing fun from 10am until 6pm with 1 3/4 hour sessions available beginning at 10, 12, 2, and 4pm. Sapphire Valley Ski Area - is skiing on both slopes with 2 lifts on a base of 20 - 46 inches. Call 828.743.7663 for a live report. Sugar Mountain Ski Resort is open skiing on 19 slopes with 7 lifts on a base of 46 - 90 inches. Tubing and ice skating are open for all sessions. Wolf Ridge Ski Resort is open with 9 slopes and 2 lifts on a base of 20 - 40 inches. Holiday rates in effect today. Sugar Mountain Ski Resort is open skiing on 19 slopes with 6 lifts on a base of 39 - 81 inches. Tubing and ice skating are open for all sessions. Snowmaking and natural snowfall. BOSS HAWG plays their North Carolina Bluegrass Saturday between 4 and 6 pm in the Base Lodge. February 16-17: NASTAR at noon on Big Red The Tubing Park is open with sessions at 10am, 12pm, 2pm, 4pm, 6pm and 8pm. Get links for all NC Ski Resorts and areas, a ski slope locator map, and details about all NC winter sports on the NC Ski Resort Guide. February 16 at Sapphire Valley Area the Annual Outhouse Races start at 2 PM. This fun family event will be broadcast this year for those who can't attend in person on Sapphire Valley TV. Check-in for participants begins at 2 PM with the static Parade at 2:30 and the actual race at 3 PM. Proceeds benefits the Cashiers-Highlands Human Society. February 14, 2013 - Wolf Ridge Ski Resort Have Date Night on the mountain with a Valentine's Day Special - Buy one lift ticket, get one of equal or lesser value for FREE! This offer is good for ALL sessions and, to be fair to singles, it also works with friends and family members, just in case you can't bring your sweetheart. Get a link and details on the NC Ski Resort Guide. Cataloochee Ski Area is skiing from the top of the mountain down, including Wild Cat Glade for day skiing only, on 16 trails with 3 aerial lifts and one conveyor lift operating on a base of 50"-70" and a machine worked surface. Tube World will be open from 4 PM - 10 PM. The Cat Crew on Thursday nights is here for the Cataloochee Adult Challenge Cup Race Series. Individuals race against the clock in a NASTAR race setting for the best of two runs. Top challengers in both men’s and womens’ age divisions win cool stuff. You must be 21 years of age or older to participate. Registration begins at 6 and racing begins at 7 PM. The Cat is where it’s at on Thursday night’s Adult Challenge Cup Race Series. In addition to the regular twilight and night skiing schedule of Tuesday through Saturday evenings, Cataloochee will also day, twilight and night ski on Sunday, February 17 and holiday rates will be in effect from Friday, February 15 through Monday, February 18. Get links to Cataloochee Ski Area and all the NC Resorts and ski areas on the NC Ski Resort Guide. See cabin photos, details and availability. February 14 Valentine's Day at Appalachian Ski Mountain Celebrate with your Valentine at Appalachian Ice Skating Arena. There will be a special skate session from 7-9 PM complete with Valentine Day decorations, music, a roaring rink side bonfire, and more. What better way to spend your evening together? Appalachian will also offer special couple’s photography at the Ice Arena from Joshua Easterling Photography during this session. Stay at any Carolina Mornings property and receive a complimentary lift pass each day of your stay! Add value to your Asheville area vacation and Wolf Ridge Resort Ski adventure, save your money and take advantage of one of the many FREE activities provided through the "Discovery Pass" exclusive to Carolina Mornings cabin and vacation rentals. Your stay in any Carolina Mornings rental will include a Ski Pass (during ski season) for each day you stay. Get details about the FREE ski pass and Wolf Ridge cabins and rentals HERE. January 9 - WOW (Women on Wednesdays) at Cataloochee. For women who learn better with female instructors, Women on Wednesdays, or WOW as its known, is a six session program, starting on January 9 for skiers and snowboarders of all ages and level. Each session starts at 10 AM with a two hour clinic hosted by Cataloochee's most advanced women instructors Participants may practice afterwards until 4:30 PM. The cost is $125 (or $175, including ski or snowboard rentals). If you have your own equipment and season pass, it's $65. Enrollment closes on January 2. You can also put your children (age 4-12) into a Cat Trackers program at the same time. Cat Trackers are offered 10am-12:30pm and 1:30pm-4pm. Special price for the Cat Trackers morning session during the WOW program is $150 over the five weeks. February 9 - Ladies Park Night at Appalachian Ski Mountain. For the Ladies Park Sessions, a custom terrain park area with features specifically designed for learning and progression is setup and offered to ladies exclusively. Trick tip coaches will be on hand for the event to offer advice and guidance if needed. These sessions are open to women of all age and ability, both skiers & snowboarders. Appalachian Ski Mountain is open today with 12 slopes and 6 lifts on a base of 49 - 76 inches. Ice skating is open. 30% OFF ALL Season Memberships. Beech Mountain Ski Resort is skiing 14 slopes with 4 lifts on a base of 20 - 60 inches. Ice skating and tubing are open. College Week continues through 2/10. Cataloochee Ski Area will be skiing from the top of the mountain down, including Wild Cat Glade for day skiing only, on 16 trails with 3 aerial lifts and one conveyor lift on a base of 47"-69" and a packed powder surface. Tube World is open 4 PM - 10 PM. Law Enforcement Appreciation Days today and tomorrow. Sapphire Valley Ski Area - is skiing on both slopes with 2 lifts and a base of 25 - 45 inches.. Call 828.743.7663 for a live report. Sugar Mountain Ski Resort is open skiing on 14 slopes with 5 lifts on a base of 40 - 82 inches. Tubing and ice skating are open for all sessions. Snowmaking is in progress in the Terrain Park, Boulderdash and other select areas. Wolf Ridge Ski Resort is open with 9 slopes and 2 lifts on a base of 37 - 50 inches. Ice skating is open. February 10 - High Country Junior Race Series Giant Slalom at Sugar Mountain Ski Resort. A Giant Slalom competition for all High Country junior racers. Registration is from 7:30 AM to 8:30 AM. Race stats at 9 AM on BIG RED. February 7 - 8 Law Enforcement Appreciation Days at Cataloochee Ski Area; Cataloochee supports the law enforcement by offering a special reduced rate for law enforcement personnel and their families. Valid ID required. his special package is only $27 per person and includes a 1 1/2 hour lesson, lift ticket for either day, twilight or night skiing and rental equipment. 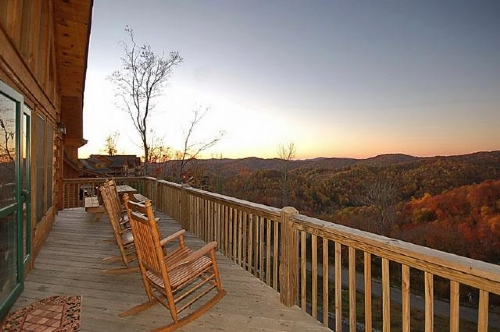 The combined savings is $56 per person over Cataloochee's regular rates. Sugar Mountain Ski Resort Today: A weather system arriving this afternoon is expected to drop another 3-6 inches of snow on Sugar Mountain. Snowmaking is in progress throughout the day in select areas. BOSS HAWG's Live Bluegrass this evening in the Base Lodge between 4 pm and 6 pm. NASTAR at noon today and tomorrow on Big Red. Get a link for more details about Sugar Mountain Ski Resort on the NC Ski Resort Guide. February 1: A great weekend for NC Skiing! Appalachian Ski Mountain is OPEN. Fresh natural snow and skiing on 7 slopes with 5 lifts and a base of 40 - 64 inches. Cataloochee Ski Area will be skiing from the top for all three sessions on 16 trails with 4 lifts on a base of 28 - 48 inches with new natural and made snow. Tube World is open from 4 PM - 10 PM..
Sapphire Valley Ski Area - .Open with 2 slopes and 2 lifts on a base of 28 - 48 inches. Call 828.743.7663 for a live report. Sugar Mountain Ski Resort is open skiing on 17 slopes with 6 lifts on a base of 35 - 65 inches. Tubing and ice skating are open for all sessions. 8 inches new natural snow.